MS FLORENCE Ong is aware that not everyone understands the work she does as a resident partner at Norwegian law firm Wikborg Rein. "They think I do maritime law, which involves exciting things like arresting a ship and collision situations," she said with a laugh. "What I am is a corporate and commercial lawyer working in the shipping offshore industry." The commercial and corporate transactions she helps her clients with are similar to such transactions in other sectors. These include mergers, acquisitions and joint ventures between shipping and offshore companies, corporate restructuring of shipping firms, the sale and purchase of vessels, and contract negotiation and interpretation. After she graduated from the National University of Singapore in 1990, Ms Ong worked at two local law firms. In 1993, she did her master's degree at Cambridge University and, in 1998, joined English law firm Norton Rose and gained exposure in its London and Beijing offices. In 2003, she joined Wikborg Rein's Singapore office as part of its team qualified in English law. She said: "It's a very special industry. If I were working in another sector, I would be working with mostly professionals, like bankers and in-house legal counsel. "In this industry, you're dealing with charterers, brokers, banks, ship managers and the government authorities. "It's interesting because everyone has different technical training." In addition, the challenge of the industry is that "everything is just more fast-paced", she said. She recalls that in the early 1990s, when she started out, it was acceptable to give clients a response in 48 hours. Now, they expect one almost immediately. 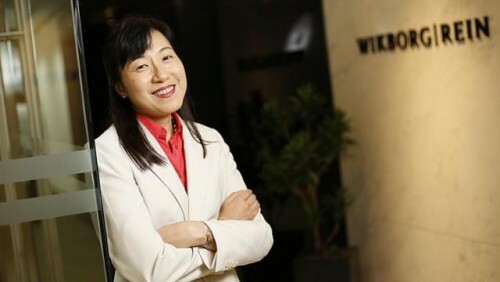 Outside of work but within the context of the industry, Ms Ong sits on the committee for the Singapore chapter of Wista (Women's International Shipping and Trading Association). The non-profit organisation of about 40 members provides a platform for women in shipping to network and help one another in the still male-dominated sector. Activities include lunchtime seminars on maritime topics. "Some have the idea that if you work in this industry, you have to board a ship and work with sailors. Actually, there are a lot of other things you can do."